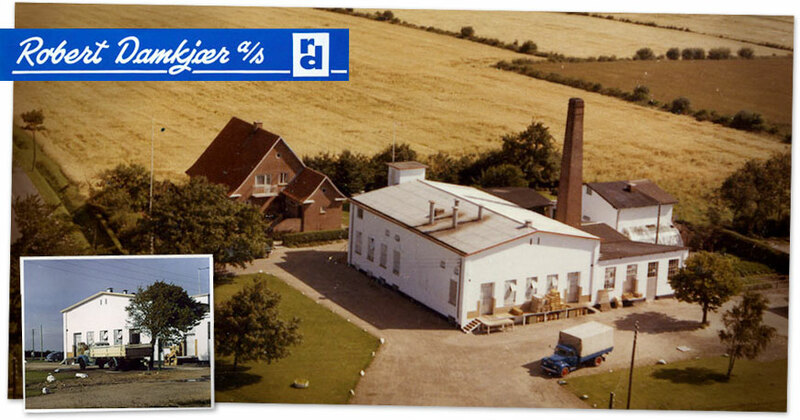 1961: Our company was founded by Robert Damkjaer and his son Poul Erik Damkjaer. They had purchased an old dairy in the southern part of Denmark, called Sønderjylland. They rebuilt the dairy into a sausage factory and started producing traditional salamis. Robert took care of the sausage making and Poul Erik was responsible for sales and administration. 1973: The oil crisis changed the marked conditions and made it problematic to sell sausages in the USA. Robert and Poul Erik began to rethink their food products. 1980: The company started focusing on chicken products and developed a niche production of chicken sausages and luncheon meats. 1984: The decision to focus on chicken turned out to be the right one. Foreign countries started showing more and more interest in the new chicken products – in particular countries where the population did not eat pork or beef. The chicken products became more popular – also canned products. 2002: The company’s distributor in Saudi Arabia received the His Royal Highness Prince Henrik’s Royal Medal of Honour for their hard work of branding of the Robert products in Saudi Arabia. 2005: Robert Damkjaer Ltd. received the King Frederik IX’s Merit Award as recognition of the outstanding achievement for Danish export. The award was presented by His Royal Highness Prince Henrik. 2011: The company celebrated its 50th anniversary and all employees were invited to a celebration party. Today the daughters of Poul Erik Damkjaer – Marianne and Birgitte - run the company as the third generation after Robert Damkjaer. Birgitte Damkjaer started working full time in the company in 1994 and Marianne Damkjaer Matzen started in 1988. Robert Damkjaer Ltd. has strong roots in traditional sausage making but at the same time, modern technology is used to make quality sausages. Our company was founded in 1961 by Robert and Poul Erik Damkjaer - father and son.